In June 2015, Grimsby Fire Department (GFD), the Ontario Fire College (OFC) and the OFMEM Academic Standards & Evaluations (AS&E) entered into a Memorandum of Understanding for the direct delivery of OFC courses through the Grimsby Regional Training Centre (GRTC). Based on the GFD belief that fire prevention is the future of our industry, our course offerings will focus on establishing the province’s first Centre of Fire Prevention Excellence. Beyond the bricks and mortar of traditional fire towers, our Council approved preliminary designs are including classroom space and creation of a fire prevention lab to replicate the OFC facility. Although the completion of the new facility is not anticipated until 2017, we are very pleased to be delivering courses at our current location in Grimsby. Limited space is available. More information is available on our registration web page at: https://www.grimsby.ca/en/living-in/grimsby-regional-training-centre.aspx. There is no pride in suppressing a fire that could have been prevented! 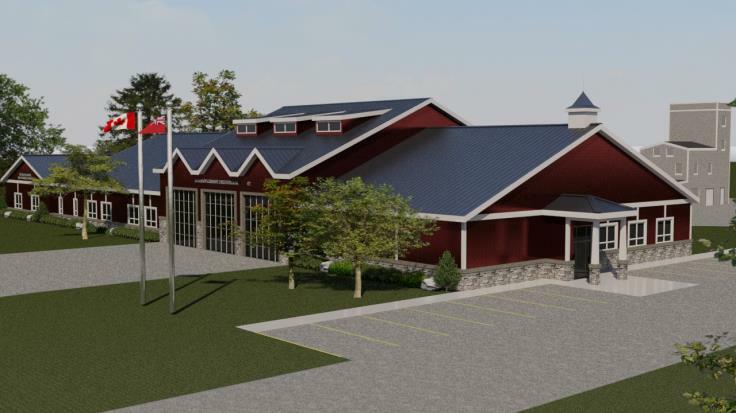 Grimsby Fire Department and the Town of Grimsby are committed to sharing this vision through the development of a fire prevention training facility that will be made available through partnership with the OFC.